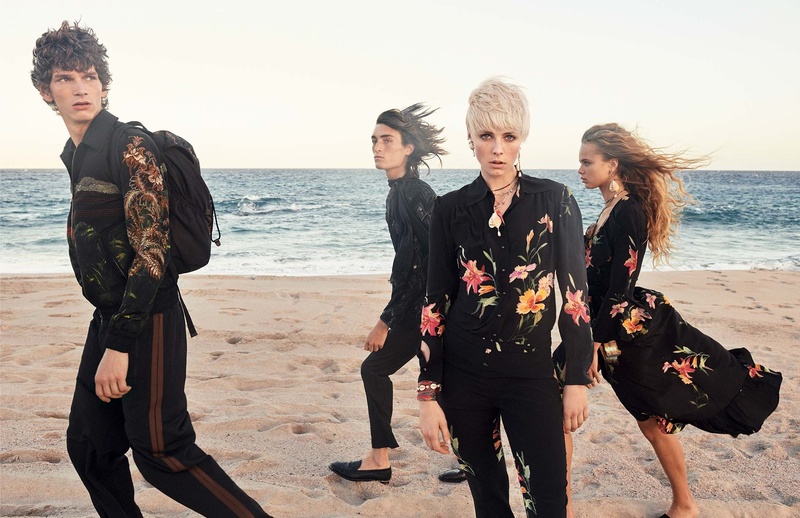 In the new Spring/Summer 2019 advertising campaign, Edie Campbell, Olivia Vinten, Nikolas Traubman and Erik Van Gils interpret a group of young travelers, who live a carefree summer on a pristine beach close to the Pacific Ocean. For the first time, Etro worked with American photographer, artist and director Cass Bird, and the campaign was photographed last December in San José Del Cabo, Mexico. “I went there a few years ago on vacation, and I was impressed by its wild and untouched nature and the sea, so different from what we are used to in the Mediterranean,” said Veronica Etro, noting that it’s easy to find horses or donkeys roaming freely there. To wit, in one of the images, Edie Campbell and Olivia Vinten pose together barefoot and straddling a light chestnut horse with a flaxen mane and tail. The bohemian, carefree attitude of the models is in sync with the props — an Etro surfboard or a colorful van that could double for a Volkswagen Samba minibus. 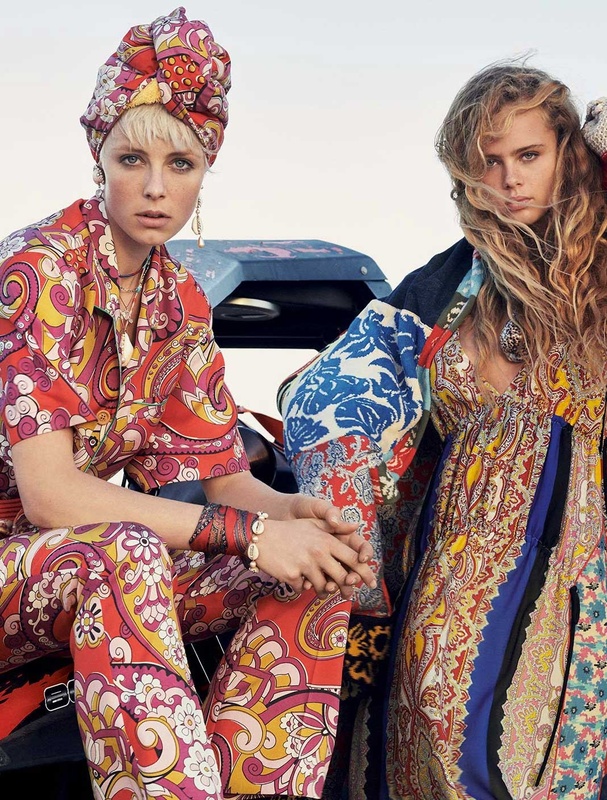 regram #etro instastory #EdieCampbell in Etro #SpringSummer2019 #advertisingcampaign . . #womancollection #mancollection #pacificzen #sanjosedelcabo #cassbird #oliviavinten #nikotraubman #erikvangils View more images of this campaign at the Edie Campbell fan site ➡️ Link in bio . .